Developed in Switzerland, E-Bikeboard is a new innovative means of personal transportation that meets the needs of both the individual and industry. 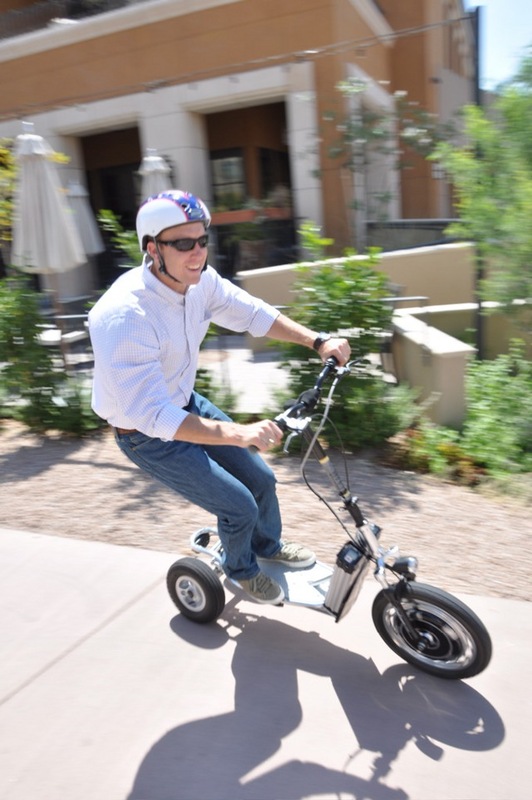 Easily mastered, the E-Bikeboard requires few skills, you just stand on it and ride! An alternative to the short distance commute, E-Bikeboard provides enough power to travel up to 35 miles / 56 kilometers on a single charge of its batteries and can reach speeds of up to 22 miles / 35 kilometers per hour.